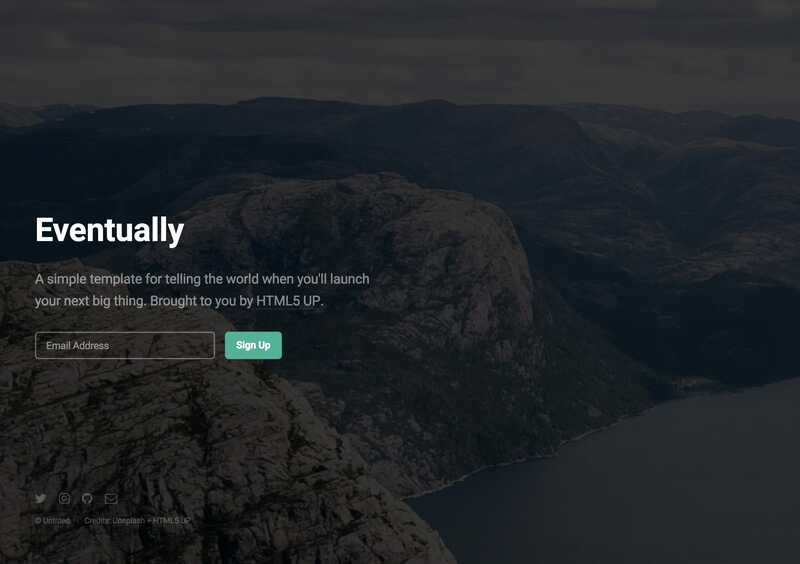 ‘Eventually’ is a smart little Launching Soon HTML template by HTML5 Up. The freebie offers everything you’ll need to announce your product and service while collecting emails up until launch including a subtle moving background image slider. Eventually has a CCA 3.0 License meaning you have to keep the footer credit to HTML5 UP. When you join Pixelarity (the Premium Tier of HTML5 UP) you can legally remove the credit, get support and access another 96 beautiful HTML templates.